The desire to provide your children with the best possible education is natural to all parents. 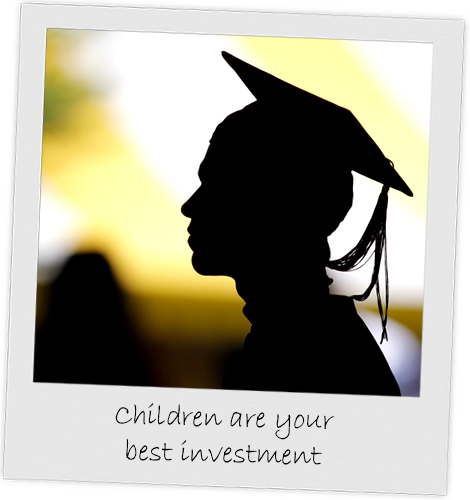 Whether building a fund for secondary school or university or a complete education, it is essential that you begin investing for your child’s future as soon as possible. Whether from income, capital or a combination of both, the sooner you start, the greater the potential of your savings. It is just as important to ensure that you review your savings on a regular basis due to frequent increases in educational costs.